Welcome to the Specialty Coffee Industry's Premier Online Virtual Coffee Business School! Learn more useful information from our online school, do it from the comfort of your own home, and save 60% to 80% off the cost of tuition charged by conventional "go-to" schools. All you'll need is a high-speed Internet connection! Starting & operating a successfully coffee business will require a lot more than just knowing how to make cappuccinos and lattes! 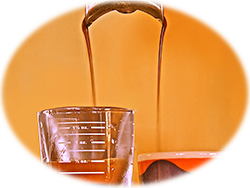 The Coffee Business School of the Cascades Online Virtual Class will provide you with all the important business & beverage information you will need, to start your new coffee business and manage it to profitability. 3‐years in the making, our online coffee school was carefully planned, recorded, and edited, bringing you complete, concise, detailed information; important information that you won't find anywhere else. 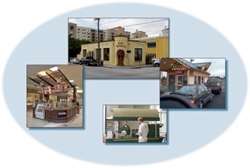 33-streaming video lessons (over 10-hours) are coordinated to "Power Point" slides, and HD video of beverage preparation techniques. Purchasing our virtual coffee school provides you with 2-years of streaming access to all the online lessons. Have a busy lifestyle? 2-years access allows you to learn on your own schedule, when time permits. Already in the process of planning or starting your business? Fast track and watch all of the lessons over a weekend, or go right to the sections that deal with the aspects of the business that you are currently working on. One of the great things about an online school is that it's not a "one-time event." If there is information you really didn't understand upon the first presentation, you can watch it more than once to gain clarification. Faced with a challenge during business start-up, or after you have opened? Go back to the lessons that deal with your situation to find the solution. Many times valuable information can be easily forgotten shortly after you've attended a "live" school. With our online school, all the important information will be available to you for 2-full years! Ed Arvidson, your instructor, is a highly respected 22-year veteran consultant and educator to the Specialty Coffee Industry. As a consultant, he has helped hundreds of people, like you, start their own successful coffee business. As an educator, Ed has taught more classes than any other industry instructor. Over the last decade, he created and taught "live" classes for the American Barista & Coffee School, the Los Angeles Coffee Business School, and the Coffee Business School of the Cascades. Prior to being a consultant and educator, Ed owned and managed multiple successful coffee operations and restaurants, and worked for national restaurant corporations managing stores, troubleshooting struggling locations, and training managers. Ed understands what it takes to start and run a profitable foodservice business, because he has personally done that multiple times, and helped many others do the same. Now, Ed's mission is to provide you with a concise roadmap for starting your own successful coffee business. He'll teach you how to protect your life-savings, and how to maximize your chances for success. While Ed no longer offers live classes, it's possible to benefit from his extensive experience, knowledge, and guidance, from your own home. Upon purchase, you will also be able to download the class notebook so that you can take notes and write down any questions you might have as you follow along. And, if you have questions, you can E- mail them to Ed for a prompt response, or set up a phone conference to gain clarification, and discuss your personal business situation and ambitions. Purchasers of this class will also receive a 20% discount off of any of the consulting services we offer from our consulting division, E&C Consulting. This includes services you might need, like creating financial projections for bank loans, helping with ergonomic store design and layout, and facilitating your employee's training and assisting with your business opening. This online class not only saves you at least 2/3rds to 3/4ths off the cost of tuition of "go-to" schools, but you also won't incur any expenses for travel, hotel, meals, car rental, and you won't need to take time off from work, or be away from your family! In reality you'll save thousands while learning more than you would at most "live" schools. Want to gain some "hands-on" experience you say? With the money you'll save by utilizing our online class, you can purchase 1-group 120-volt espresso machine, and a small espresso burr grinder, so you can practice as much as you like at home. This also means you will be able to try different espresso coffees that you might be considering for your business, and enjoy espresso drinks at home for years to come! We are so confident that you will be impressed with the quality and value of the information included in our online class, that we've made it a RISK-FREE proposition, with a 100% Satisfaction Money-Back Guarantee! Watch all 33-sections of our online school within 30-days, and if you don't feel you received at least $200 worth of valuable information, call us for a full refund. Great information you won't find anywhere else, no risk, and save money; so what are you waiting for? A link to download the following bonus materials will be included with the purchase of this class! (This includes: sample menu w/ suggested prices, recipe sheets for all items on menu, "best of breed" picks for consumable products, operational administrative forms, employee policy manual template in MS Word, 30-page article on "Viable Coffee Business Concepts for the 21st Century," 40-page written drink tutorial, 37-page tutorial on "How to add $1,000 to Your Bottom Line in 30 Days," and more!